Researchers from the University of Sheffield in the United Kingdom and researchers from Rice University are working on a mode of Diagnosis for Oral cancer which will minimize the amount of time taken for the diagnosis of Oral Cancer, to as low as 20 mins. Procedure: The Dentist himself will collect Stem Cells from the site of the suspected Oral Cancer. It Utilizes a computer program to analyze the diagnosis and will give the result in as low as 20 Mins. The test uses small sensors and biologic agents that are attached to a portable machine. The actual testing device, known as lab on a chip, is about the size of a credit card. Which will be very easy for the Dentist to use in his Clinic without any heavy equipment. The patient does not need to be worried about the result for 2 or 3 weeks, as the result will be available for the patient and the doctor in 20 mins to decide the further Treatment plan. 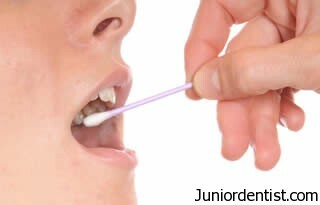 Helps in deciding the Treatment of the Oral Cancer without letting it progress for 2-3 weeks for the result to confirm. Easy to use without the elaborate equipment, as the Dentist can perform it directly in his clinic without any Biopsy. It is not sure weather the Diagnosis of Oral cancer can be done is such short time span. It has to be tested extensively to be trusted as it is a very important test which can decide the fate of the patient. This Test will be tested for 2 years before being used in the clinics, and after these 2 yrs it will be first introduced into clinics in UK.